Plus, an entire year of awesome events! Simply present your pass for entry. Come explore a world where the LEGO® bricks comes to life at LEGOLAND® Dubai, the ultimate theme park for families with kids aged 2-12. Set your imagination racing with over 40 LEGO themed rides, shows and building experiences to enjoy together. With 15,000 LEGO models made from 60 million LEGO bricks, six themed lands and a mix of indoor and outdoor attractions, it’s where awesome awaits! FACTORY is where the family fun begins. Take a tour of the LEGO Factory and receive your very own exclusive LEGO brick fresh from the casting line. Here you can visit The BIG Shop, offering the largest selection of LEGO toys in the Middle East! In LEGO® CITY, learn how to drive a LEGO car and earn your official LEGOLAND Driving License. You can also fly a plane, captain a boat or save a ‘burning building’! 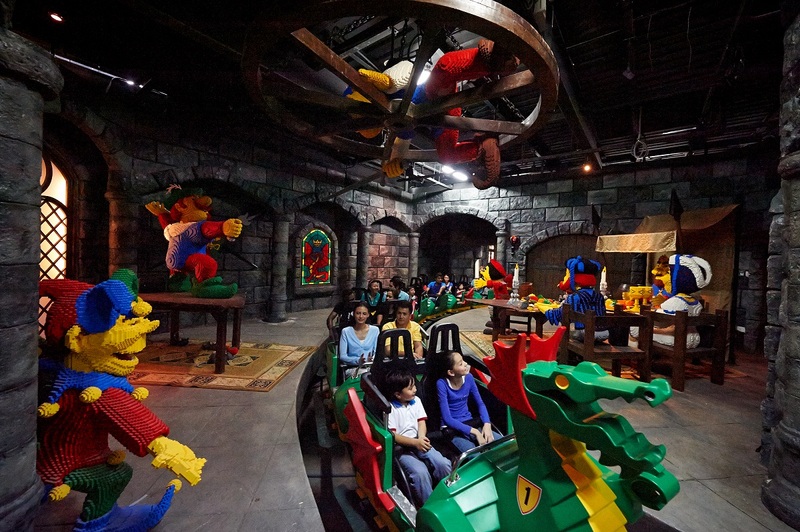 Enter the medieval land of KINGDOMS and conquer The Dragon on an exhilarating roller coaster ride through the King's castle, while younger knights and princesses can also ride the Dragon's Apprentice. IMAGINATION is the land for every LEGO fan to enjoy where you can build and race LEGO cars, or build with MINDSTORMS® robotics. Head to ADVENTURE and join the LEGO divers in a captivating underwater adventure, then dodge water blasts on Wave Racers before taking a journey through ancient temple ruins to recover a pharaoh's stolen treasure. A visit to MINILAND is an absolute must, with Dubai's iconic skyline and key landmarks from around the Middle East, built from 20 million LEGO bricks in this indoor, interactive area. LEGOLAND Dubai. It’s where awesome awaits! You are not able to bring food and drink from outside of the park, into LEGOLAND® Dubai. Therefore, you’ll want to organise to eat before you enter the park or eat at one of the LEGOLAND® Dubai family restaurants. LEGO, the LEGO logo, the Brick and Knob configurations, the Minifigure and LEGOLAND are trademarks of the LEGO Group. ©2018 The LEGO Group. LEGOLAND is a Merlin Entertainments brand.